Quick Electricity has partnered with many affordable light companies in Texas that allow you to prepay for your electric service with no down payment. Our service area includes the Dallas-Fort Worth metro, Houston area, Corpus Christi, Galveston, Abilene, Odessa, Waco, the Rio Grande Valley area and 400 additional Texas towns. There are many light companies that don’t require a deposit. Find one here. There’s a free energy plan for every Texas resident! Find yours. No deposit electricity plans are also called prepaid or pay-as-you-go plans because the cash paid becomes a balance in your favor, all of which can be consumed as electricity. These plans are an attractive option for customers who want to avoid deposits or who are denied a long term contract due to credit record issues. Payment for electricity Purchase energy upfront, like minutes on a prepaid cell phone plan. Payment at the end of the billing period, similar to a credit card. Deposit None. Electric companies may require a minimum purchase, but all of it becomes energy you can use. The deposit is paid upfront and does not count towards your balance. It may be avoided by having a solid credit record. Kilowatt-hour Price Varies over time. No deposit electricity companies often issue a monthly statement with the average price you paid. Contracts may have fixed and variable prices. Fixed-price contracts tend to offer a lower kWh price but impose a minimum contract term and high penalties. Penalties Typically, there are only penalties for tampering with the smart meter. Penalties for early contract termination and late payment are common. Payment frequency No established payments. You can make frequent and small purchases or larger purchases occasionally. One payment per billing period. No deposit electricity plans also offer a subjective advantages. Thanks to smart meters, electricity providers can offer you smartphone apps that send notifications when your balance is getting low, so you can purchase more kilowatt-hours before your account drops to zero. However, this also means you will track your energy consumption more frequently, as opposed to only once per billing period. Energy consumers who monitor their kilowatt-hour usage tend to consume less energy that those who only wait for power bills once per billing period. No deposit electricity plans are also useful if you want to meet a specific energy budget. For example, if you want to spend less than $100 per month, you can purchase that amount and then implement energy-saving measures until you make it last one month or more. Smaller and more frequent payments may sound like a hassle when dealing with no deposit electricity plans, but suppliers generally accept payments by phone or online. This makes the process much simpler, and in some cases you are allowed to configure automatic purchases once your balance drops below a specified value. 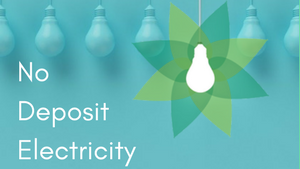 No Deposit Electricity is perfect for people who can’t afford an electricity deposit, want to avoid a credit check or prefer power to go. Below are our cheapest, most popular Texas energy plans available with zero down. 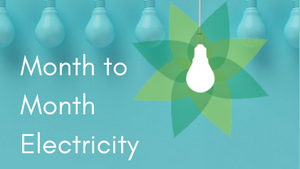 Month to month energy plans are great for people who are in between moves or want to have the lowest available energy rate a month at a time. Many monthly electricity plans in Texas come with perks, such as points, bill credits and even free power. Some monthly plans are available with no deposit depending on your credit status. 6-Month Plans – renting, or just in between moves. 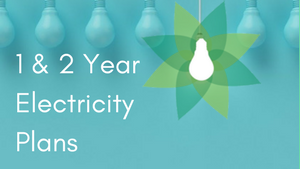 9 & 18-Month Plans – lock in a low, competitive electricity rate. Big rewards like bill credits and discounts for on-time bill payments. lock in cheap rates before the summer hike! Are you confident that you’ll be staying at your current location for a year or even two? Want something more committed than a pay as you go electricity plan? If you want your electricity plan to be as stable and reliable as your recliner, Quick Electricity has some trustworthy, low-cost, long-term plans for you from the top light companies in Houston, Dallas and the rest of energy deregulated Texas. These by-year plans reduce cost fluctuation and eliminate hassle from switching and renewing plans. Choose from 12-Month and 24-Month Fixed Rate plans. Want to set up a green electricity plan that pulls from renewable resources? 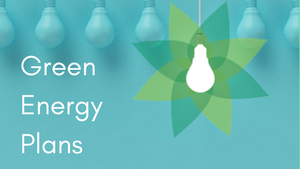 Quick Electricity helps consumers find plans that utilize wind energy, solar, and other renewable sources. Our providers offer eco-conscious plans for the homeowner looking to minimize their footprint. Learn more about green electricity. Your electricity plan doesn’t have to be one-size-fits-all. Quick Electricity Military discounts on electricity are available through Veteran Energy and Direct Energy. Texas Veterans and all active duty military personnel are eligible for a lower energy rate pending a verification of service. Veteran Energy "3 Month Partner Secure"
Lock in a low rate for the hot summer months! Veteran Energy "6 Month Partner Secure"
Six month energy plans are perfect for renters. Veteran Energy "12 Month Partner Secure"
One year of price security from our top energy provider! Direct Energy "Military 12 Month Plan"